This homemade mac and cheese recipe is classic and most importantly, easy! Sometimes the side dishes receive more praise and commentary than the barbecue itself. Don't be upset by this, in fact, embrace it. Classic mac and cheese is comfort food personified. It is hearty, creamy and satisfying. 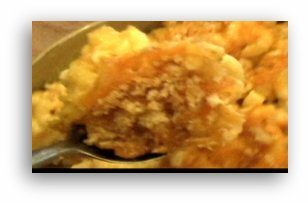 We prepared this mac and cheese in the traditional way and added very little to it, other than a little cayenne pepper for a bit of a kick. Serve it in this form, or think of it as your canvass. You can add steamed vegetables, bacon, smoked pork, the sky is the limit. This recipe was to serve 12 guys who came over for our fantasy football draft, so please alter the amounts called for accordingly, unless you want tons of leftovers. And while on that subject, mac and cheese warms up well in the microwave for a great evening snack, which I have had on occasion. Please don't tell my wife I said that. In a huge pot, boil the noodles until cooked and drain. Follow directions on the box. Set aside. Melt the butter in a large pot with a thick bottom over medium heat. Once the butter is melted, slowly add and vigorously stir in the flour with a whisk. The thick bottom is to keep the flour from burning and the milk from scalding. Once the flour is fully mixed in and smooth, you now have a roux. Slowly add the milk while once again vigorously stirring with a whisk. Bring the mixture to a gentle boil while stirring occasionally. The mixture should now coat the back of a spoon. Add the salt, pepper and cayenne pepper. Add the cooked noodles and mix. Now add the two cheeses and turn off the heat. Stir until all the cheese is melted and the mixture is smooth. Transfer to a large casserole dish which has been sprayed with a no-stick spray. Smooth out and sprinkle the top with more cheddar cheese and dried bread crumbs for texture. Bake at 350 degrees Fahrenheit for 20 to 30 minutes or until bubbly and crisp. See, I told you this homemade mac and cheese recipe was easy. Enjoy this great comfort food classic! Sign Up for Dave's Online Newsletter! CLICK HERE to ask Dave about this recipe, or any recipe for that matter. He will get back to you within 24 hours, maybe sooner. Go on. Give it a try! and return to BBQMyWay homepage.